Early Bird drop off 8:00 am, additional charge. Camp are all based at the WYSC GYM at 365 West Shirley Ave, in Warrenton. SHOULD I BRING ________ TO CAMP? 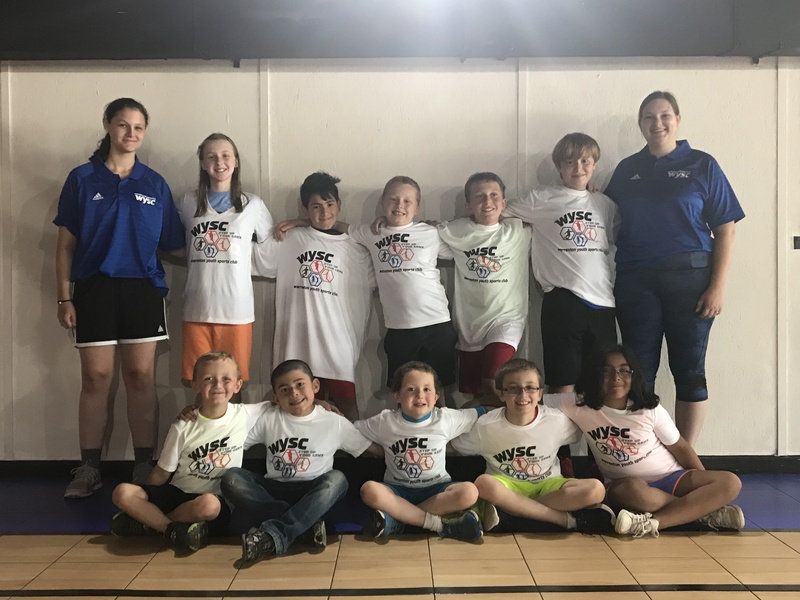 WYSC runs a sports camp with many activities planned through out the day. We will have all of the equipment and materials avialable so attendees would be perfectly equiped with themselves, a water bottle, and food. Although there are lulls for a break or snack, there is no time for electronics/outside toy usage. Cells phones fall under "electronics," however kids may need to contact parents at the end of the day or in the event of forgetting a lunch. We understand. If a kid needs to bring a cell phone to camp, we can keep it a safe box in the office. Otherwise, they should be kept at home. Thank you. More than 3 weeks before start of camp: 75% of camp fee. Two weeks before start: 50% of camp fee. Within two weeks of start: no refund.